Incorporated Name: Faith Franchising Company, Inc.
Low investment / low risk / low overhead franchise that can be home-based. Recurring revenue and scalable to any size you desire. Proven franchise system that is easy to learn, operate and grow. Recession resistant in an established multi-billion dollar market. Family focused where you can include your spouse and family. 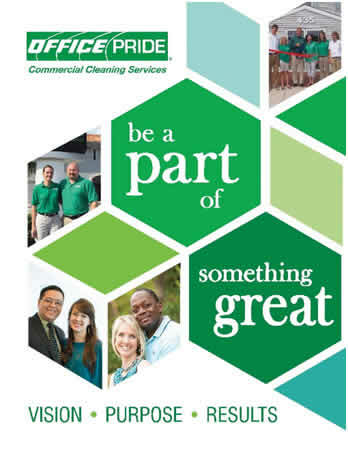 We have opportunity available nationwide for qualified franchisees. where together we can recruit and grow any number of individual Office Pride franchises and help individual franchisees achieve their dream of entrepreneurial business ownership and financial independence? Office Pride has opportunities for Area Developers (in select markets). Office Prideis recognized as one of the most advanced and admired commercial cleaning franchise in the industry, with one of the highest franchise owner satisfaction rates among all franchise systems according to Franchise Business Review. We are a nationwide, 25 year old, faith-based, commercial cleaning franchise that equips people to build a profitable business that honors God. Office Pride franchisees provide consistent, quality commercial janitorial services and total floor care to businesses through our Core Values commitments to delivering total customer satisfaction through honesty, integrity and hard work. 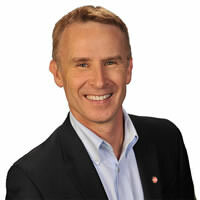 Todd Hopkins is the founder and CEO of Office Pride Commercial Cleaning Services. Todd is an industry leader and serves on the Building Service Contractors Association International Board of Directors. BSCAI is responsible for raising and maintaining standards of professionalism in the facilities service industry. Todd is one of the most sought-after speakers in the building service contracting industry. He has authored several best-selling books based on Biblical business principles including Five Wisdoms for Entrepreneur Survival and The Janitor, an international best-seller. Recession resistent industry: A service franchise in a multi-billion dollar virtually recession resistant industry. Franchisee satisfaction: Member of the Franchise Business Review Hall of Fame, Rated in the Top 50 for systems with 100 – 299 units, Office Pride was #25 in “The Top 50 – Best of the Best” for 2017 and the #1 commercial cleaning franchise. Low investment and low risk: You can virtually start with a laptop and phone. Can be home based thus quick to launch and start growing. Location independent: Viable in any size geographic market. Every commercial space needs cleaning services – offices, medical offices, churches, schools, day cares, showrooms, financial institutions, etc. and every community is full of them and growing. Faith-Based: A franchise you can include your spouse and family in whose corporate culture was built and is run on Biblical principles. Billing and collection services are provided: which frees our franchisees up to focus their time and energy on selling new accounts, hiring and training cleaners, managing their daily business operations and growing! Entrepreneur 500: Previously ranked Office Pride as a Top Low Cost, Top Home Based and Best Overall Franchise. No Brick & Mortar: No site selection, no construction or lease costs, etc. thus quick to launch and start growing profitable. Office Pride is an ideal franchise opportunity for the transitioning veteran who typically has leadership skills, functions well in a team, is self-disciplined and hard-working. We offer a 25% discount off the franchise fee to honorably discharged vets, past and present. We believe for your business to be sustainable, you must be trained in every area of success, including sales, operations, hiring, strategic planning, financial management and more. Office Pride coaches you how to sell commercial cleaning and floor care services and how to grow your own business and therefore a business with equity. 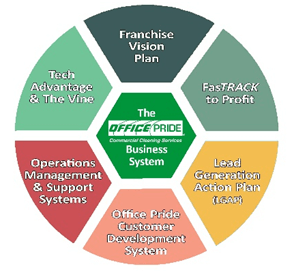 But if your goal is to invest in growing a very profitable business with you leading your team, selling your commercial cleaning services, building your own customer base, providing outstanding customer service, hiring, training, managing and providing leadership to your employees then Office Pride may be one of your best franchise choices. Office Pride is currently accepting inquiries from the following states: Wyoming, West Virginia, Wisconsin, Washington, Vermont, Virginia, Utah, Texas, Tennessee, South Dakota, South Carolina, Rhode Island, Pennsylvania, Oregon, Oklahoma, Ohio, New York, Nevada, New Mexico, New Jersey, New Hampshire, Nebraska, North Dakota, North Carolina, Montana, Mississippi, Missouri, Minnesota, Michigan, Maine, Maryland, Massachusetts, Louisiana, Kentucky, Kansas, Indiana, Illinois, Idaho, Iowa, Hawaii, Georgia, Florida, Delaware, Washington, D.C., Connecticut, Colorado, California, Arizona, Arkansas, Alabama, Alaska.